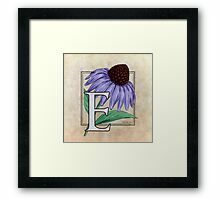 This monogram art features echinacea, also known as the coneflower. 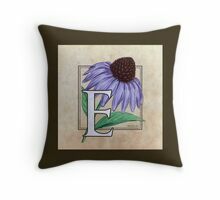 It’s a lovely wildflower that’s also become famous as an herbal remedy. 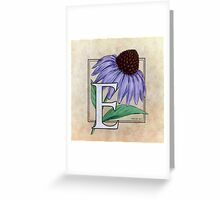 Part of the Floral Alphabet series, also available separately as cards. 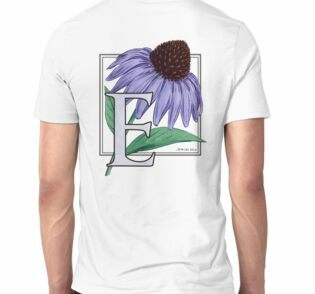 and as shirts and stickers. 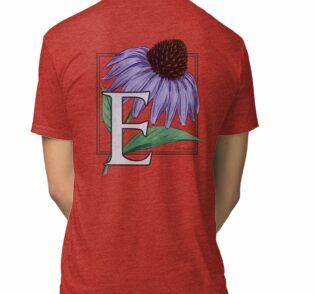 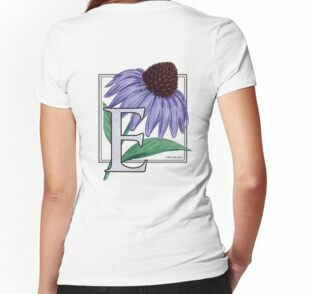 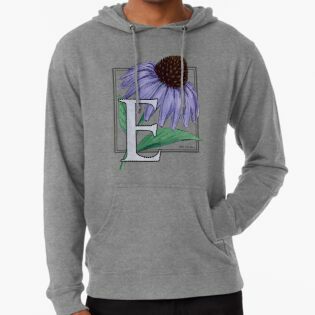 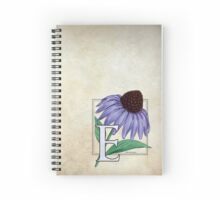 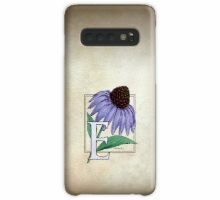 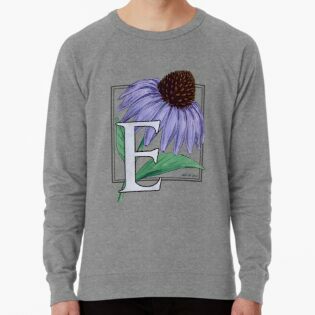 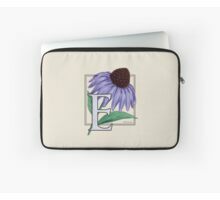 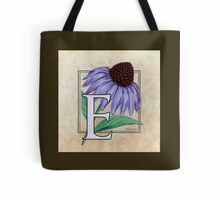 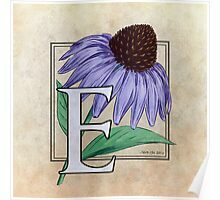 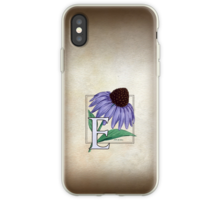 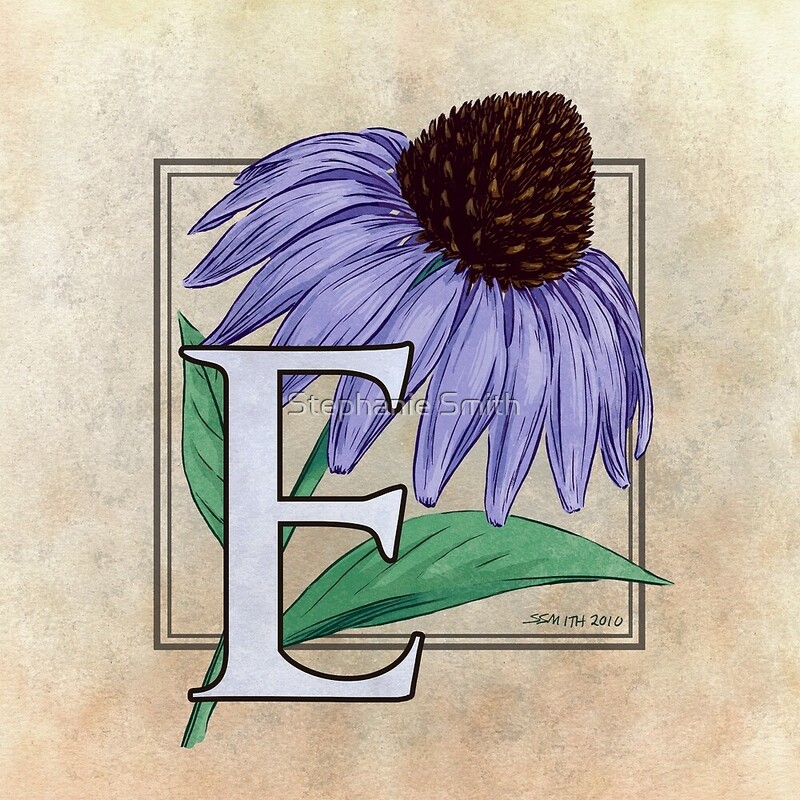 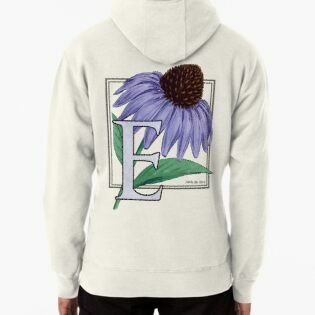 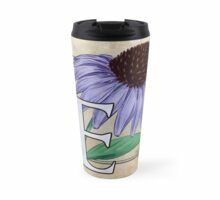 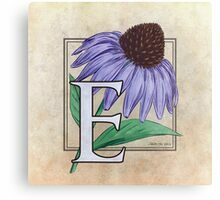 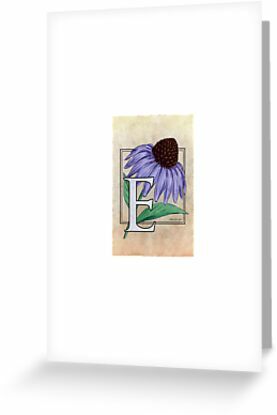 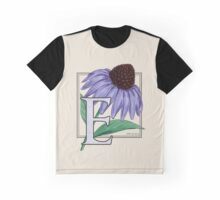 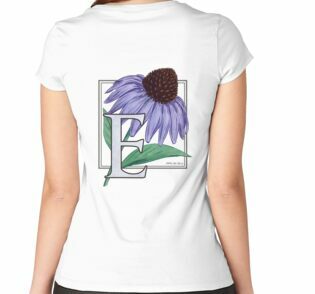 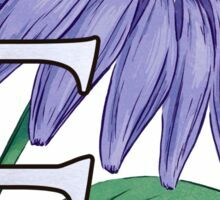 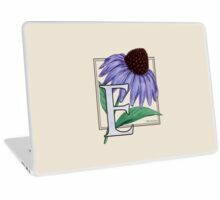 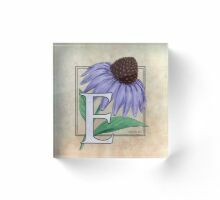 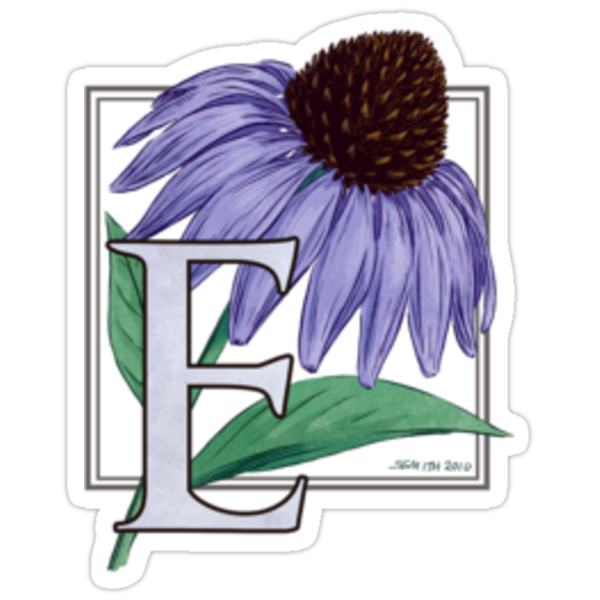 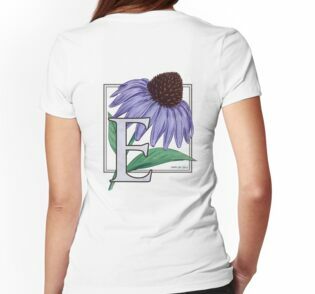 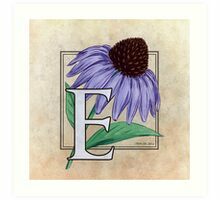 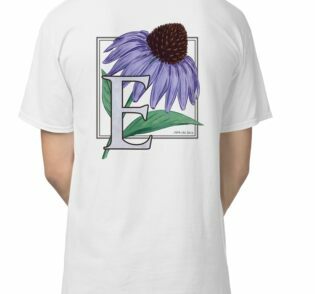 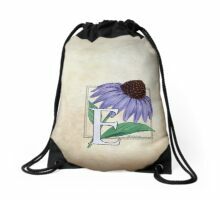 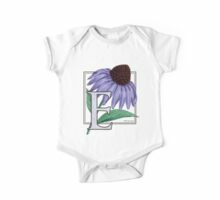 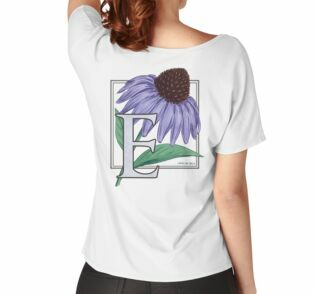 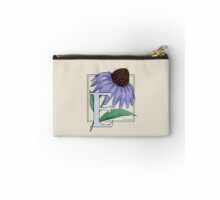 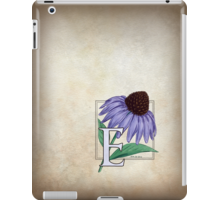 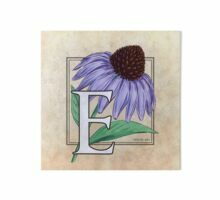 E for Echinacea at my Zazzle shop!